Just call me the birthday King. Hey Ranger, do you think this’ll be enough cake for our guests? OH…There you are! On the other side of the beach. NOW we’re sure to have enough…TWO BIRTHDAY PAWTY CAKES!!! Here my young friend, put your crown on. Now. We’re all set. 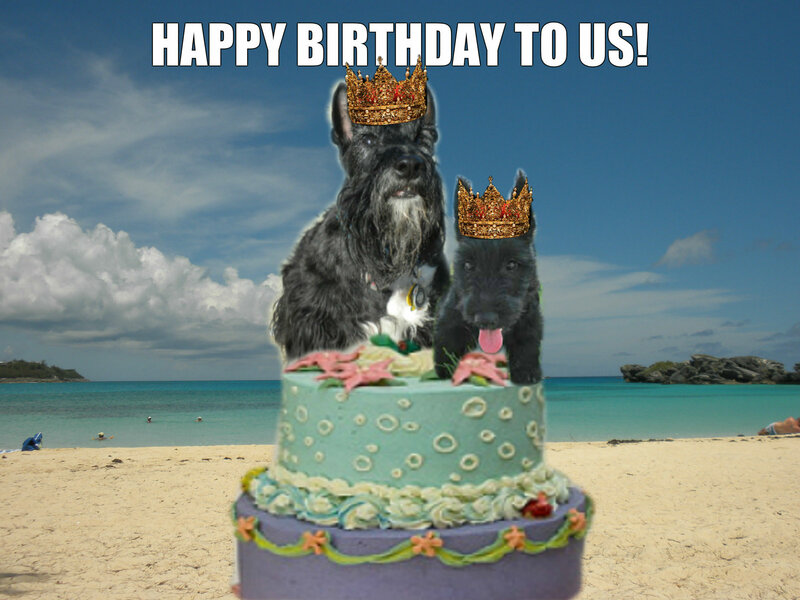 Look who’s here to celebrate our barkday birthdays with us….Hey Y’all….over here! 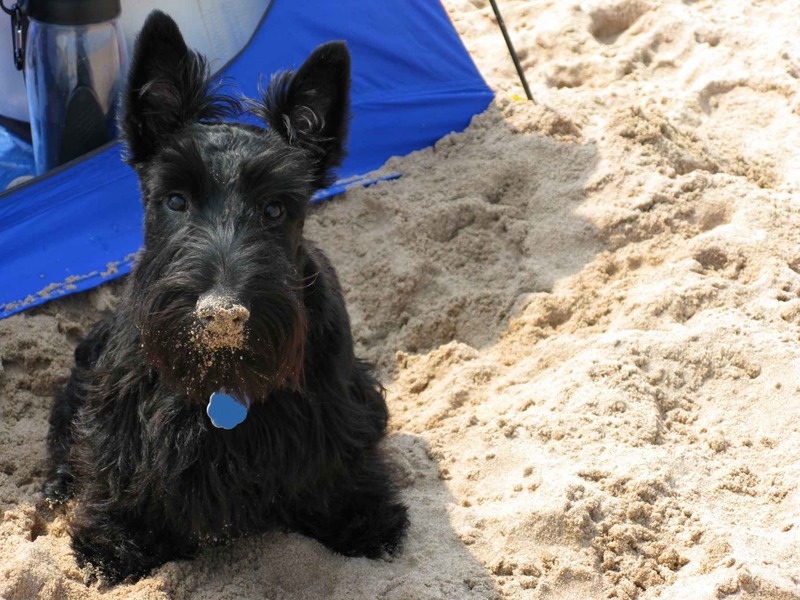 Here’s Macleod with a sandy nose! 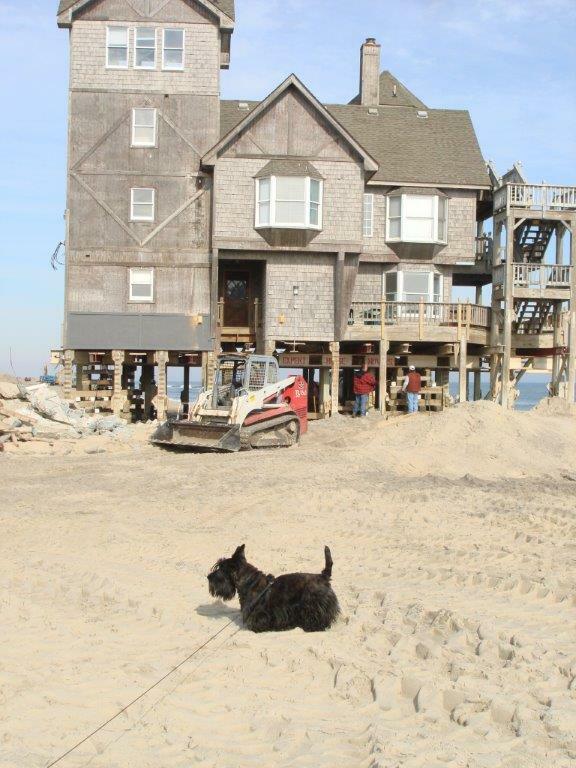 Truman’s snoopervising a house move! Jazzi on a stroll. Looking for birthday cake. 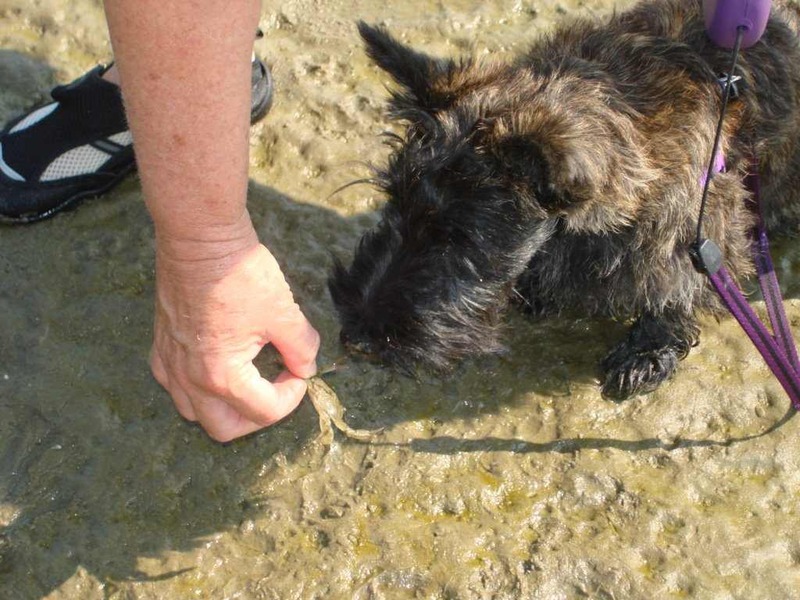 Watch out Sarge – there’s a hermit crab on your tail! 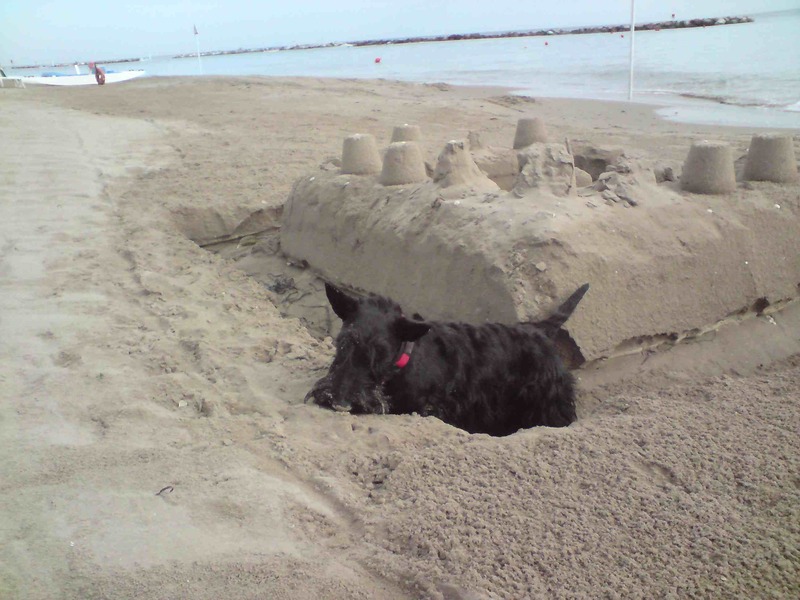 Piper’s building a BIG sand castle. Meet Drew-Hiwood Golden Sunshine Girl and Corky. Welcome to the pawty! This time, Piper’s a life guard. Good. Somebody’s gotta watch over all of us! Kyla’s a real beach girl isn’t she? Who knew? Kaci’s taking after her sister, Kyla. 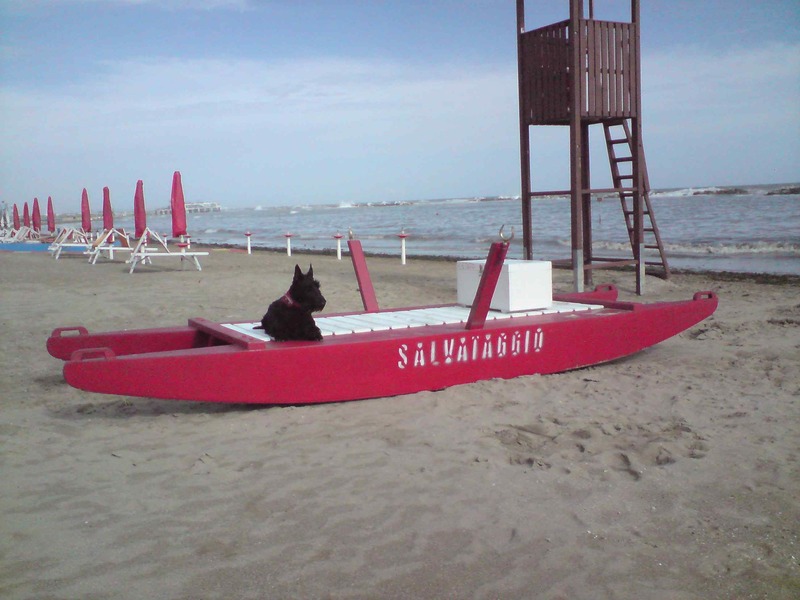 More life guards…we need ’em. Look! It’s Wally, Fin, Sammy and Charley! Glad y’all could make it! Sweet William the Scot is having his own pawty! Complete with bagpipes. Sweet! Nice to SEE you Floyd! Yippee! Those are some big waves…. Stay cool under that umbrella Dougall. 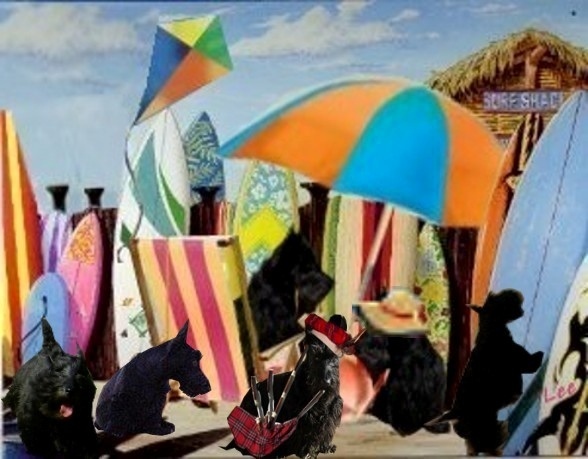 Thanks for making the trip to our beach pawty! Meet Bor and Juno enjoying some zoomies in the sand. 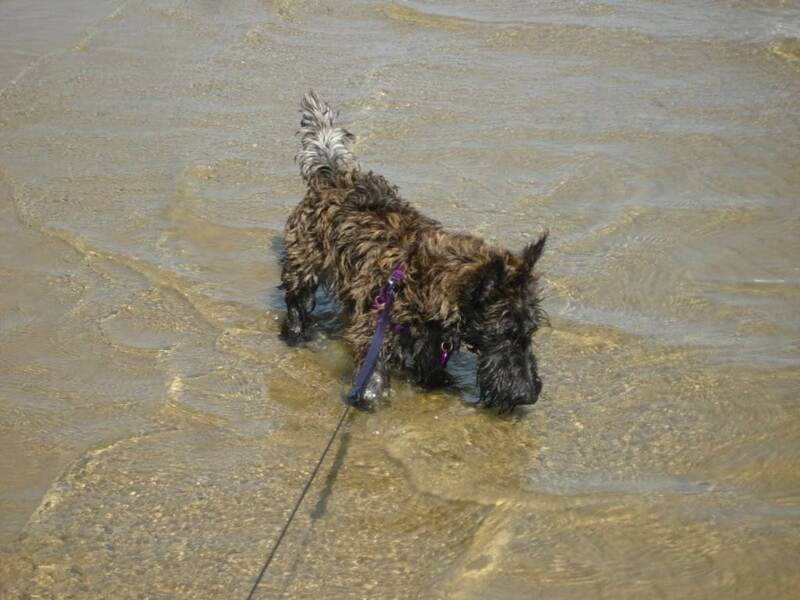 Jazzi loves the beach. 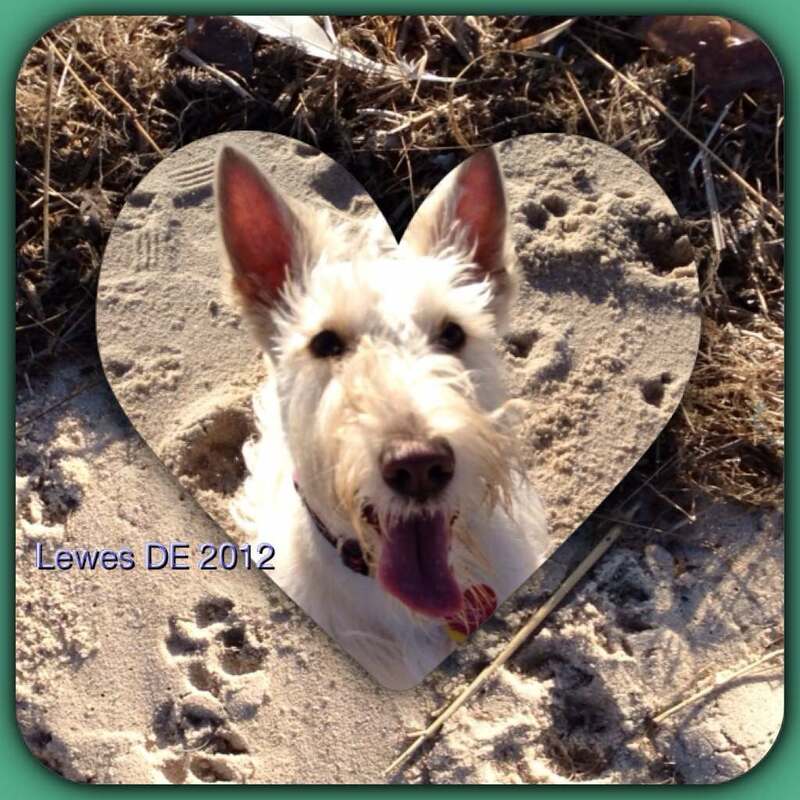 And I love me some pawprints in the sand. 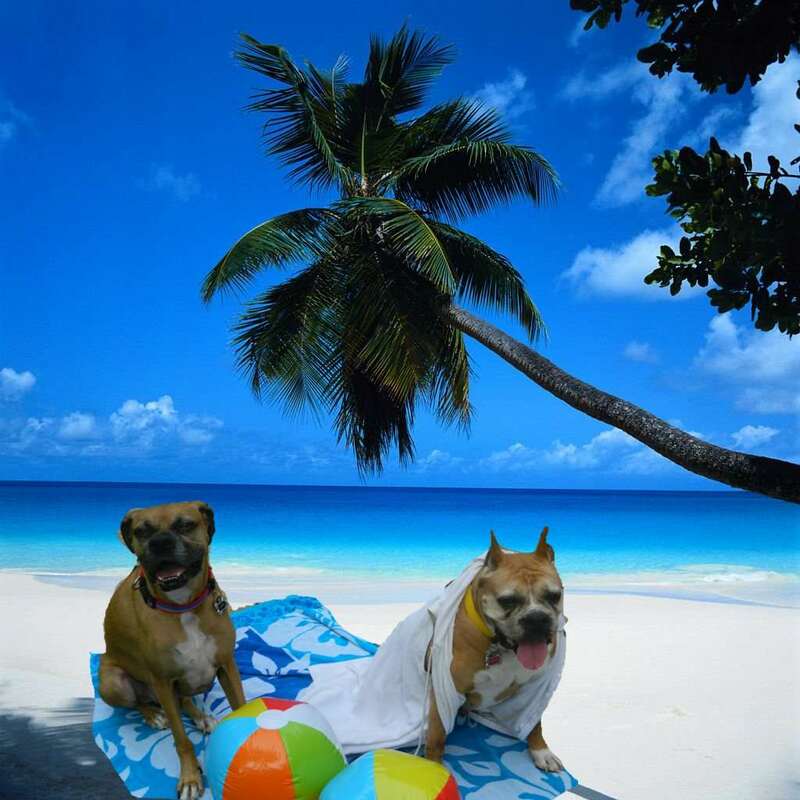 What would a Beach Blanket Bingo Pawty be without bingo? Oh boy. Ranger and I can’t thank you enough for pawtying with us today. I’m seven and he’s a big ONE YEAR OLD today. Hop on over and see what he’s up on his side of the beach. He’s got a bingo call out, too! And, hey, he and I are going to be hard at work choosing a winner in our Beach Blanket Bingo Photo Contest. So stay tuned for the announcement next week. And, hey, I think I might just be too tired for “Where in The World?” Saturday and I’m pretty sure I’m gonna be real Silent on Sunday…well, maybe not. Thanks for the Birthday Barkday Wishes! Pawty On Friends!!! 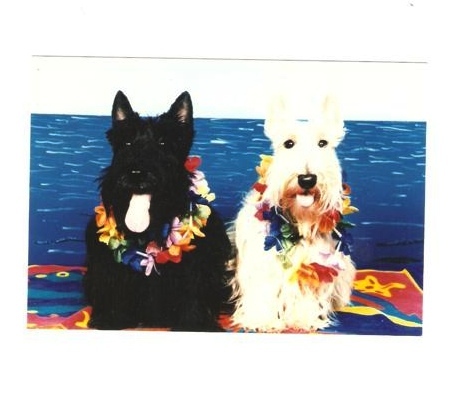 This entry was posted in The Scottie Chronicles and tagged Beach Blanket Bingo, dogs, Foto Fun, pets, photography, Ranger, Scottish Terrier, Stuart's Birthday Party. Bookmark the permalink. 50 Responses to BARKDAY PAWTY TIME!!!!! happy barkday Stuart & Ranger! Congratulations, Big Boys, From Thomas! Have fun! And Lots of Cake! 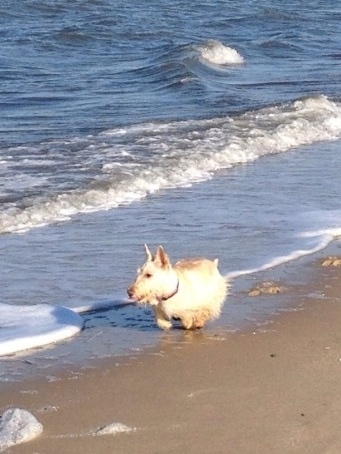 I’m going to channel my inner Scottie for a minute — Arroooooooooo!!!!!!!! Happy barkday, Stuart and Ranger!! This is such a pawsome party! Cinderella loves basking in the sun, but I’m going to start a surfing contest. Who’s in?! Happy Birthday Stuart, may the party never end! Ahhh Stuart you said I was having my own party ~ NO I brought the scottie gang to your birthday and Ranger’s birthday party! You know what I mean my friend….thanks for adding the bagpipes!!!! What a special treat! ArrrrrrrroooooooooARooooooo! Happy Barkday Buddy! You’re the best and I loves our cake. Oh my gosh, another Ranger! It looks like there’s enough cake for all the four-legged friends, yippeee. Happy Barkday to Baroooo! You’re getting to the point when you can sign up for Peticare. Happy Birthday. HAPPY HAPPY YAPPY BIRFDAY TO YOU STUART. 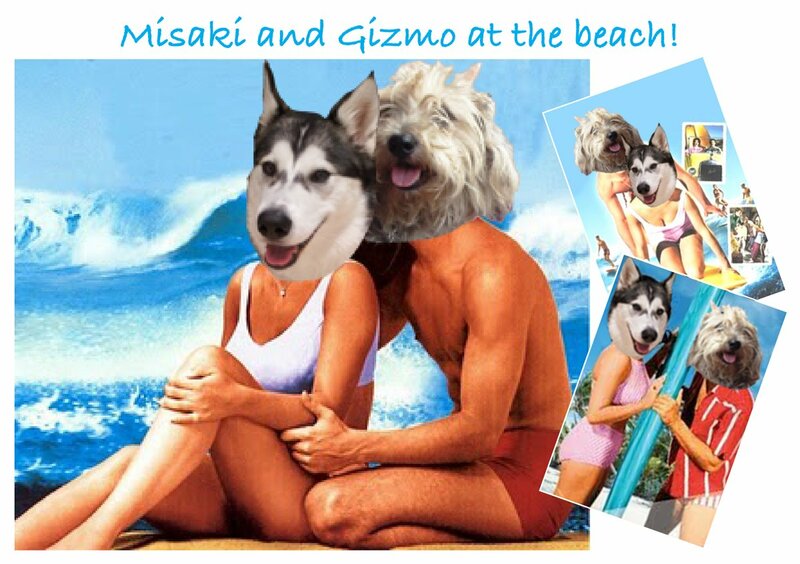 THIS is an amazing Beach Pawty. SO many of our furends are here to help you celebrate your special day. Hey…. come on…SURF’s UP…. let’s grab our boards and hit the waves again… Your are a SUPER SURFER. RoooooooRoooooRooodooolieRoooo! happy barkday, stuart and ranger!!! Happy Birthday Stuart, great party. Stuart we got rides on our Hawaii outrigger and green bear for st paddys day, hope Kyla brought the green beans. Happy Birthday !!!! Thank for including the photo of Drew and Corky. 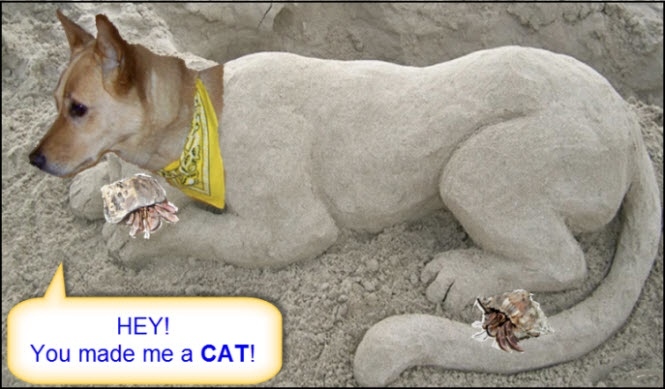 Wow, this is a rockin’ beach party fur sure! My crabby girls forgot about building a sand castle and buried me instead. 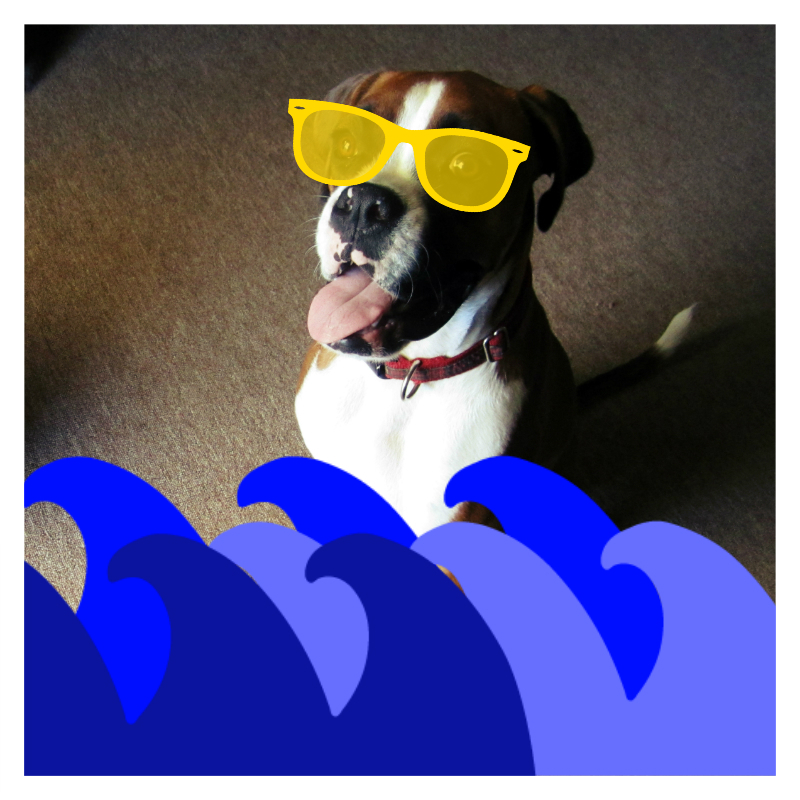 BOL Everyone is having so much fun in the surf and I can’t wait to shake off this sand and go for a big swimmie. I hope you have a very HAPPY HAPPY BARKDAY! Woohoooo that cake looks delish! Happiest of birthdays to you Stuart. I can’t believe my mom did not get me to the party but it looks like you have plenty of friends to celebrate with you. May the coming year bring all the best!! Fantastic party, Stuart. Happy Birthday. We’ve met so many scotties who we’ve never met before. Fabulous. Happy Birthday, Stuart! We can see that you are having a blast on your very special day! Hi Stuart! This party is so much fun!!! 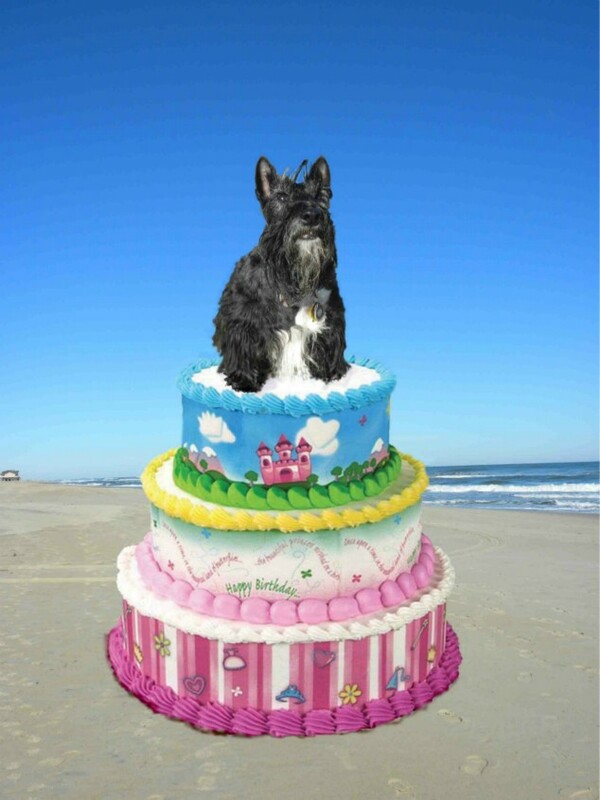 I sure would like some of that cake …how about I trade you one of my world famous cheeseburgers for a piece of barkday cake??? Happy Birthday!! This is the greatest party ever!! I hope you are having a wonderful day. 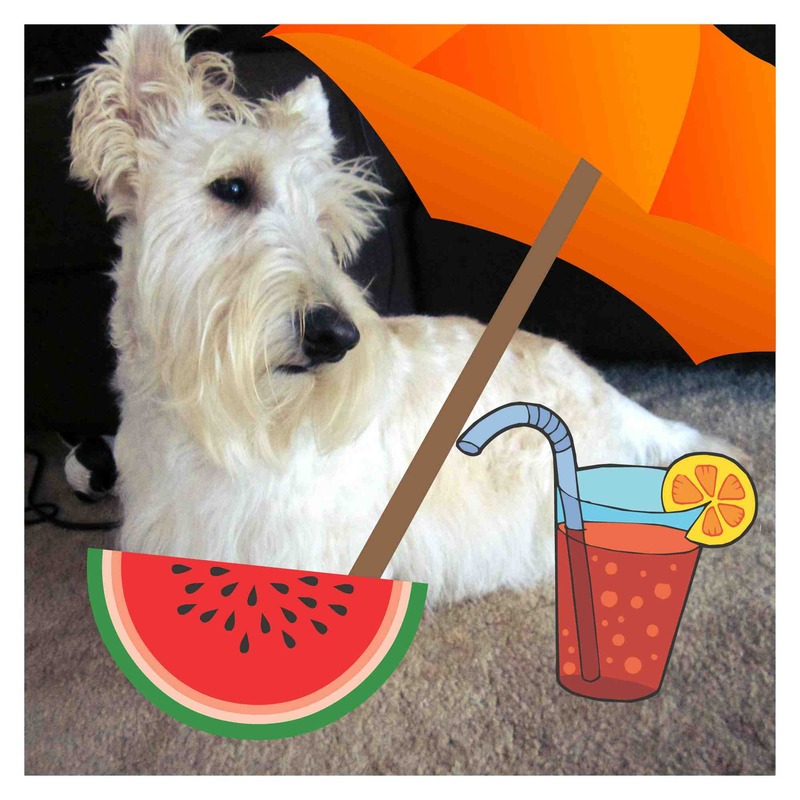 I have to find Puddles, she took all the little umbrellas for the fancy drinks and I want one. I will see you later and thanks for the invite and the cake is sooooooooooo good. Happy Birthday, Stuart and Ranger, party hardy and let the good times roll. Would sure love a lick of that cake! Happy Barkday Stuart and Ranger!! Happy Birthday Stuart! Wow what a pawtay…is there any cake left? Such a PAWSOME barkday party!! Look at all those good looking Scotties!! ArrroooOOOoooo!!!! Happy Barkday to you Stuart!!! PAWSOME photographs and I am so going to have some of that cake!!! Thanks to you and Ranger for organising such a great paw-ty! Happy Barkday to you Stuart! ArroooOOOO to you from Brandy and Kenzie! Happy Birthday Ranger. What a fun fun Pawty!! 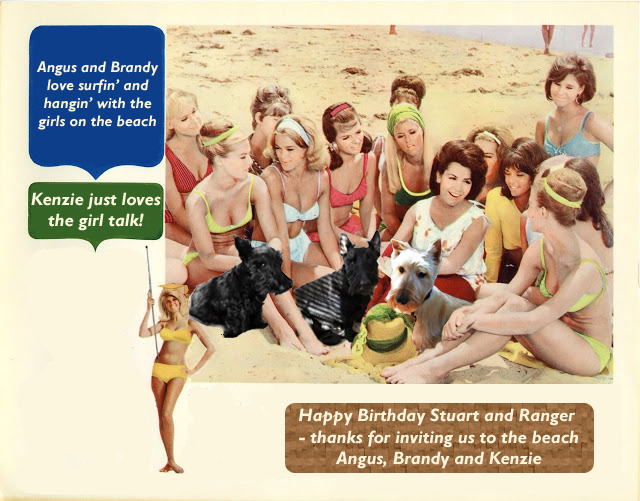 What a great show they all put on for your birthday Stuart – a glorious bunch of beach hounds! 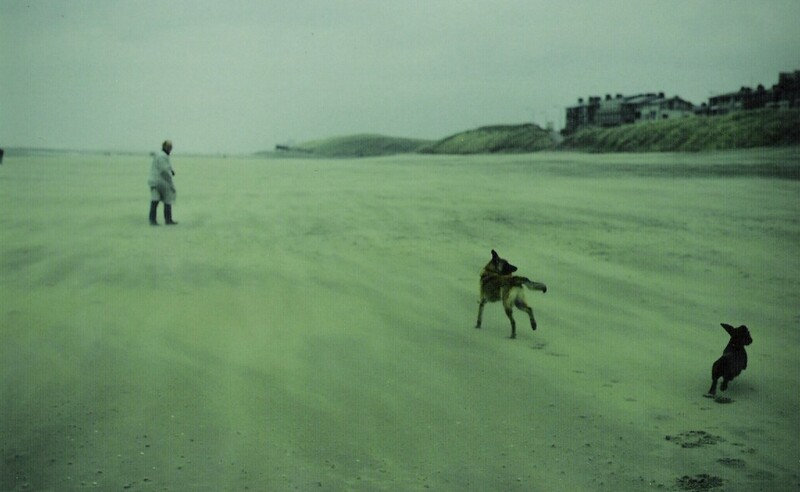 In our books, there is nothing better than watching dogs play on the sand.